Disclaimer: I was loaned a 2015 Toyota Rav4 Limited in exchange for this review. I was not additionally compensated for my time or the review, and all opinions stated above are 100% my own. This post also contains some images that are owned by Toyota that are used for the purpose of media and press. Seriously, ya'll! 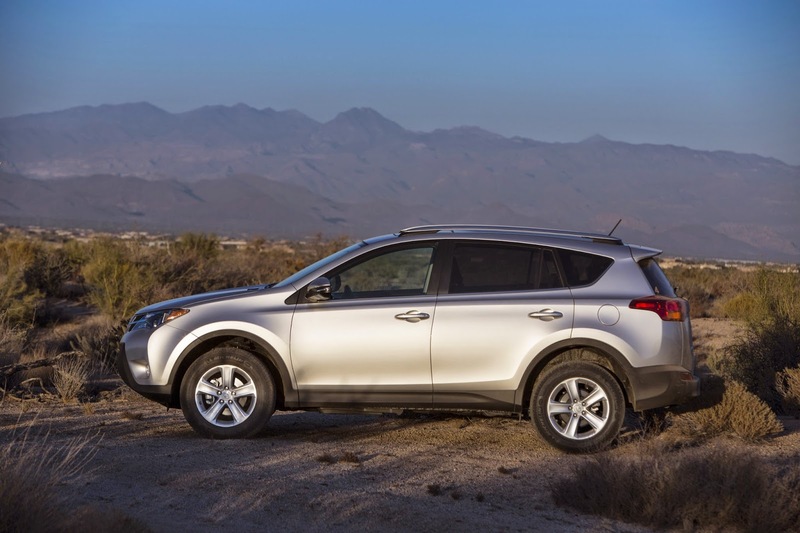 The 2015 RAV4 Limited is super sporty and also feminine! Literally the perfect fit for me and Adam! It has a lot of really great qualities that both Adam and I look for in a car we want to invest in; for instance, the audio system is fantastic! It comes with XM station capabilities, and the bluetooth connection is flawless. We tested this with both my iPhone 4S and his iPhone 6--connected really well and quickly. I was sold on that! I have a lot of pre-made playlists I like to enjoy so having that feature work for me was crucial. Luckily, the bluetooth technology on the RAV4 is perfect! 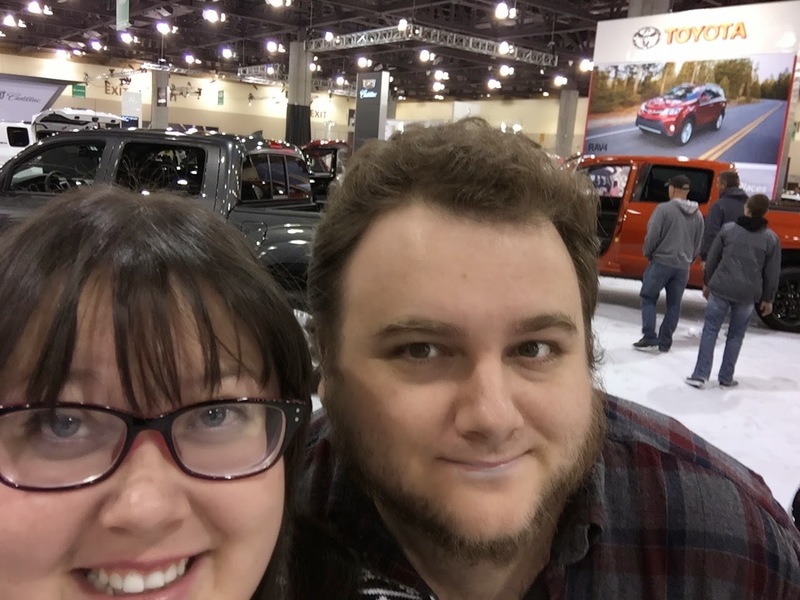 This car handles really well on Arizona roads and freeways as well--I had a blast driving through the valley running errands and exploring with Adam in my passenger seat! From Tempe to Downtown Phoenix, from Chandler to Fountain Hills--this car rides like a beauty! We even had a little bit of rain here in the valley, so I got to test out the RAV4 while it was drizzling out--needless to say, I am impressed! Safety is always a concern as well when I am considering investing in a car, and between how it handled in the rain and the awesome safety features that comes with it I felt incredibly safe on every drive! the Blind Spot Monitor with Rear Cross-Traffic Alert! Phoenix is a huge city, so when you're driving you know that you have a possibility of another car sneaking up on you when you need to merge or change lanes. These features aid in any hesitation you may face when driving in a populated (or not so populated) area. For instance, the first time I really noticed the Blind Spot Monitor was around dusk driving home--there was a black car driving behind me that did not have its lights on yet, and admittedly, I may not have seen them if I hadn't gotten the alert message on my driver's side mirror indicating there was someone in my blind spot. And another feature that I want to specifically share with you all is the Backup Camera! Adam and I just made a huge visit to the mall and outlets for Christmas shopping and as you all may know: everywhere is packed this time of year! We are talking every single spot in the parking lot is filled, and there are hundreds of people roaming around the parking lot. The other night, we made a special trip at night for dinner and shopping. When we were leaving, there was a gigantic truck parked poorly behind us and both cars next to us were encroaching on our spot. Needless to say, it was a nightmare situation to pull out and leave. 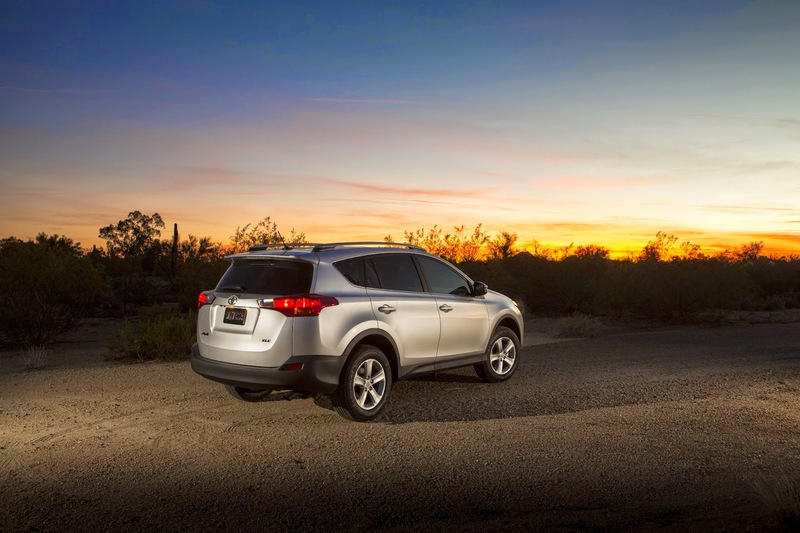 Well, the 2015 RAV4 Limited Backup Camera saved us! Not only did it make things easier for us to pull back out and leave the crowded mall, but I honestly don't know how I ever drove without a Backup Camera! This is an absolute must-have feature for me in a future car! 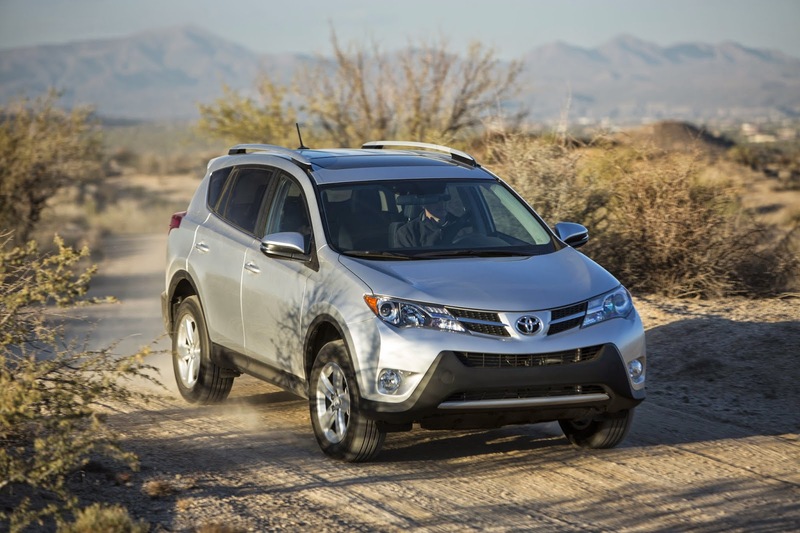 For more information about features and pricing, be sure to check out the RAV4 site here. 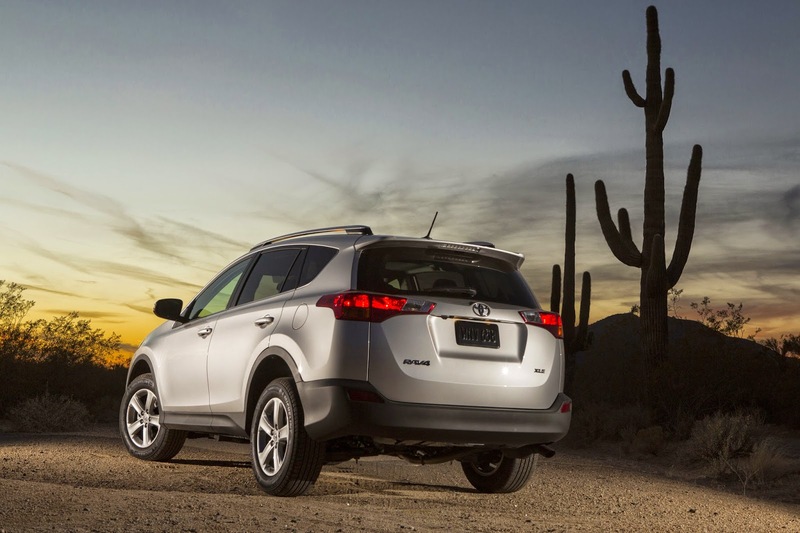 All in all, Adam and I adore everything about the 2015 RAV4 Limited and we LOVE Toyota! Have you ever owned a Toyota? I would LOVE to test out one of these bad boys! It looks awesome, and super comfortable! It is very comfortable inside from the driver's seat! That RAV 4 looks sweet! I am in the market for a new vehicle. Might have to check that out! Oh yeah you definitely should, Jennifer! I have a Toyota Sienna and love it. It is 5 years old and runs great. I love all the space too. I have driven the Sienna as well and I am a huge fan! You are SO welcome! Glad you found it helpful, Cara! Yes, there was lots of space for sure and definitely sporty AND chic! This looks like a cool car. My husband has a Toyota Prius right now and he really likes it. I have never driven a Prius but I have heard amazing things about them, too! I considered the RAV4 a few years ago, but I'm liking the newer models much more now. I'll be car shopping in the next few years, and maybe I'll come back to the RAV4. I know what you mean--I would definitely give it a test drive! I really liked it a lot! This sounds like a nice family car, thank you for your review and Happy Holidays. You are most welcome! And thank you--same to you and your family as well! Looks very sporty and gas mileage is good! I love the 2015 Toyota Rav4 Limited has a Blind Spot Monitor. I think that all cars should come equipped with this automatically. It saves lives. I absolutely could not agree more! What a beauty of a vehicle!! I am so drooling over that car! I love Toyota's and we need a new car, although it's is another few years down the road in our budget. I want one of these!! I especially like all of the bells and whistles like that BackUp Camera. I could totally use one of those. Mmmmhmm the bells and whistles are like no other! You are SO welcome--glad you are already enjoying a RAV4! Sharp looking vehicle, they've come a long way from the first boxy versions. My dad loves his Tundra, but I've never had a Toyota. With 5 kids all the time and a limited budget, our vehicle choices tend to be a bit larger than the RAV. Yeah that is understandable for sure! I am glad you are a Toyota family though! These pictures make this vehicle look awesome! I would get one for sure..my brother in law has one. I want one of these. It looks amazing! Oooh, that's nice! That's on my list for when it comes time to get a new car. I want a back up camera and heated seats on my next car purchase. Yup, a Backup Camera is definitely on my must-haves. Sounds like a great vehicle. I have heard great things about this car. It is a fantastic vehicle for sure! I've heard nothing but good things about Toyota vehicles, so I'm not surprised that this one is awesome. Thanks for the fun videos! This is so nice. It would be perfect for my daughter and her little family. She has a small car and she surely needs something like this. Yeah this would be great for a smaller family that needs more space in a car! This is great!! We're looking to trade in our Ford Focus for something bigger as we have two growing boys. Seems like this is a great option! For sure! It definitely has a lot more space than any Focus I've ever sat in, and I can imagine it being perfect for a family of 4-5 absolutely!